Rarely does something stop me dead in my tracks, drop my jaw, or cover me in goosebumps, but this is what happened to me just a few short weeks ago. I was fortunate enough to stumble across this rare and fiercely talented artist while she was performing in downtown Encinitas and, not only was I impressed by her performance, I was captivated by it. Often I witness an artist that’s great to listen to but fails as a performer. Even more often does it occurs that I see a great live show but then their CD winds up serving as a drink coaster on my coffee table. But every once in awhile, a long and great while, an artist comes along that is the total package and this package is Sophia Alone. Sophia was born of Moroccan and French descent and describes herself as a modern Muslim woman and has just as much beauty in her voice as she does in her eyes. She sings from her soul and not only leaves you impressed, but leaves you inspired. Her music has something for every listener from Soul to Pop to Jazz and a lot more in between. 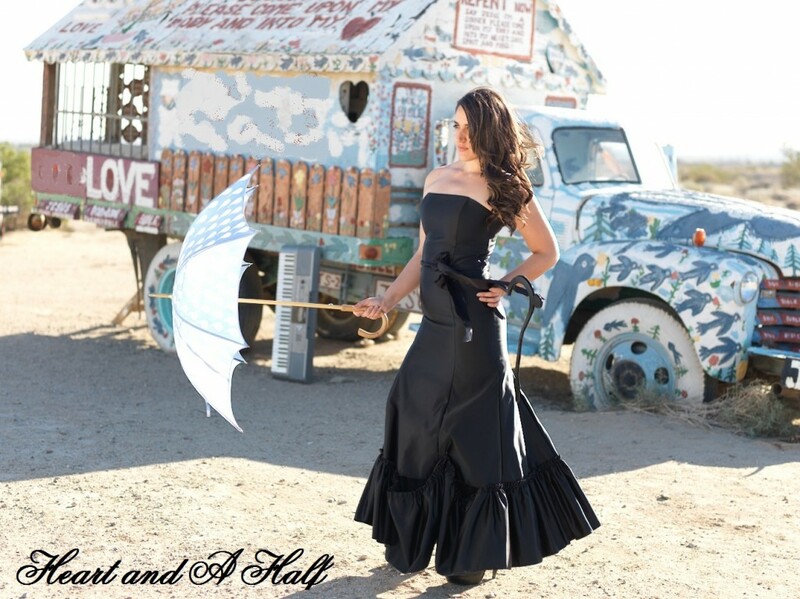 Her self-released album entitled “Heart and a Half” will grab you and encapsulate you as well. When Sophia sings you don’t just hear her message, you feel it. Sofia is an incredibly interesting artist and is skilled on a multitude of instruments including piano, saxophone, guitar, violin and cello, just to name a few, and yes she even holds a degree in music and teaches when not on stage or touring. I invite all of you, dear readers of this review, to immediately visit Sophia Alone at YouTube, Facebook, iTunes, CD Baby, Instagram. She also has her own channel on Pandora. I recommend highly that you visit her website at SophiaAlone.com for upcoming shows, songs and videos of previous performances. I’ll venture to say that you’ll be as mesmerized by her fierce talent as I am. Sophia alone is the package, she is the total package, she sings like an absolute angel, she has all of the on-stage charisma in the world leaving an audience entertained and wanting more, her music will echo in your head until you play it again and again and you may also find yourself stunned by her beauty upon laying eyes on her. Listen to Sophia, Sophia Alone. Sophia will be performing at 1st Street bar in Encinitas on June 25th from 5-8pm.